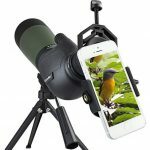 Simply put, spotting scopes are miniature scoping devices that are intended for bird watching, hunting, target shooting, and various other hobbies. 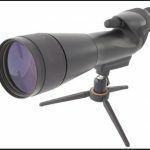 Now, you could always simply go online and search for a good spotting scope on your own, but how well would you fare if you don’t know what you’re looking for? The main purpose of this article is to provide you with the knowledge you need to discern a good scope from a bad one, to utilize your spotting scope in the best way possible, and, lastly, to get a fair deal for the buck. Generally, people who are new to the Spotting Scope technology might get lucky from time to time, but there’s a manifold of things to consider if you don’t know the basics. First of all, it’s quite hard to know what scope will be good for you if you don’t have anything to compare your mode with. Of course, you could always go online and search for buying guides and reviews, but that will give you a subjective opinion in best cases. Secondly, even the best spotting scopes won’t do exceptionally well in certain situations, and laymen tend to blame the scope, not knowing that the atmosphere, humidity, the mirage effect, and various other situations play a vital role when the performance of a spotting scope is at stake. Lastly, even if you’re capable of cashing out the best high-end scope, you might not be entirely satisfied with it. Namely, the best scopes are intended for experienced, seasoned hunters (birdwatchers, clay shooters, and such) who know the mechanics. Generally, more expensive scopes come supplied with a bunch of features that aren’t exactly easy to use. This is the reason why we’ve prepared a step by step guide so that you can learn the ropes in the easiest way possible. Let’s start with the most important thing ever – the atmosphere. Now, you have to know where you are going to use your scope. Are you an adventurer who likes to explore different regions with your scope? A hunter who prowls through the humid forests? Or, perhaps, even a peaceful birdwatcher? This is the first thing you need to decide. Namely, some scopes perform excellent when the weather is favorable exclusively, other scopes are specifically built for harsh weather conditions. Keep in mind, there’s a scope for every possible situation. As you might have probably guessed, the distance between you and your target (wild animals, clay pigeons, birds) is very important. The last thing you want to happen is foggy vision. Now, the reason why you want a scope that’s capable of following your idea of vision is because some scopes perform perfectly at short ranges while others are meant for long-distance usage. The magnification lens and the objective of your scope are the features you want to consider, but we’ll get to that point in “Step 4”. For now, all you need to decide is the approximate distance between you and your target. Simply put, there are scopes for short, medium, and long-range scoping. Now, this one is quite self-explanatory. There’s a huge gap between low-end and high-end spotting scopes, but there are also equally good reasons why you should consider spotting scopes in both price ranges. Namely, each spotting scope has its own set of flaws and benefits, but you will be the one to decide the overall value of the scope in question. The reason why we can’t generalize the features of spotting scopes is because there are a lot of them. Generally, every spotting scopes comes equipped with a magnification lens, an eyepiece, a tri-pod, and such. You should always make sure that the features your spotting scope comes supplied with are appropriate for the situation you want to use it in. Now, most reviews include a list of pros and cons of each spotting scope within the review, but you shouldn’t rely too much on them. At the end, you will be the one using the scope, and you should not concern yourself with the opinion of someone else. Of course, it’s always good to know the general specifics and features of each scope, but most laymen are easily persuaded into buying low-quality scopes with fancy words and comfortable “facts”. Make your own list of pros and cons, consider price/value ratio, and you’ll do just fine. What are the best and worst things that could happen when you’re buying your very first spotting scope? Well, the absolutely best thing would be your overall satisfaction while the absolutely worst thing would be a waste of money. Furthermore, the latter is the reason why people opt for low-end spotting scopes, ending up in the “status-quo” zone of satisfaction – “I’m not cool with this, but at least I didn’t spend too much”. This shouldn’t be your moto when searching for your scope. Namely, there are a lot of things you can (and should) consider, and, given that you know what you are searching for, making the right call shouldn’t be too hard, even for the complete, immediate beginners with this form of technology. We wish you good luck with your search, and we hope that this guide was helpful. How to keep proper maintenance Your Spotting Scope? How To Decide Replace or Repair Spotting Scope?